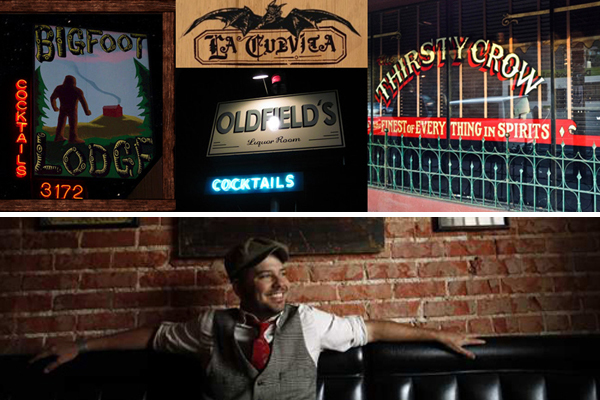 Bobby Green of 1933 Group has cornered the market for drinking establishments in Los Angeles with a string of bars including Atwater’s Bigfoot Lodge, Highland Park’s La Cuevita, Culver City’s Oldfield’s Liquor Room, and Silverlake’s Thirsty Crow. Now Bobby’s about to carve the another notch in his belt of Los Angeles watering holes with the opening of the Deep South inspired “Sassafras” in Hollywood on Vine Street—which at 3000 square feet will be the group’s flagship location. So I went back to the drawing board and started over taking into consideration the reference and other comments from the meeting. 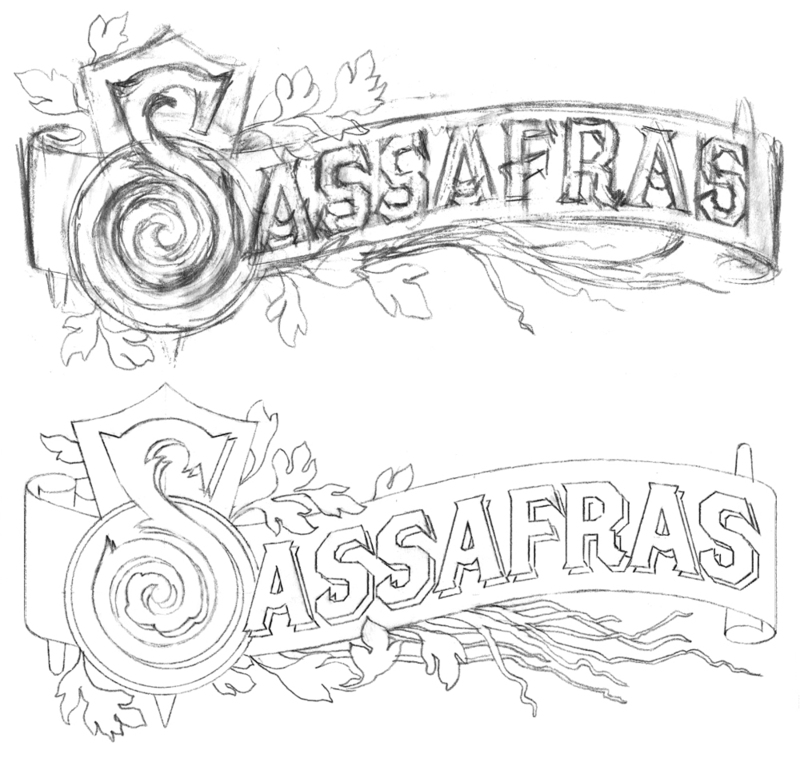 I then developed the following layout—what I had in mind was to use the “Brothers” typeface (this font was designed by my friend John Downer) as the basis for the word (except for the cap “S”), so that if we needed to create a straighter, simpler “Sassafras”, it wouldn’t be that much of a problem. Sassafras is located at 1233 Vine Street, next door to the historic Villa Elaine. During the 1940s this historic landmark apartment building was home to Man Ray, Orson Welles and Henry Miller (there is a lot of history in this town). Sassafras’ opening will be towards the end of August—so watch this blog for update postings. Hope to see you all there! Glad to see that Brothers came in handy. Did you know that I designed it? Perfectly realized! You’re the best, Michael. 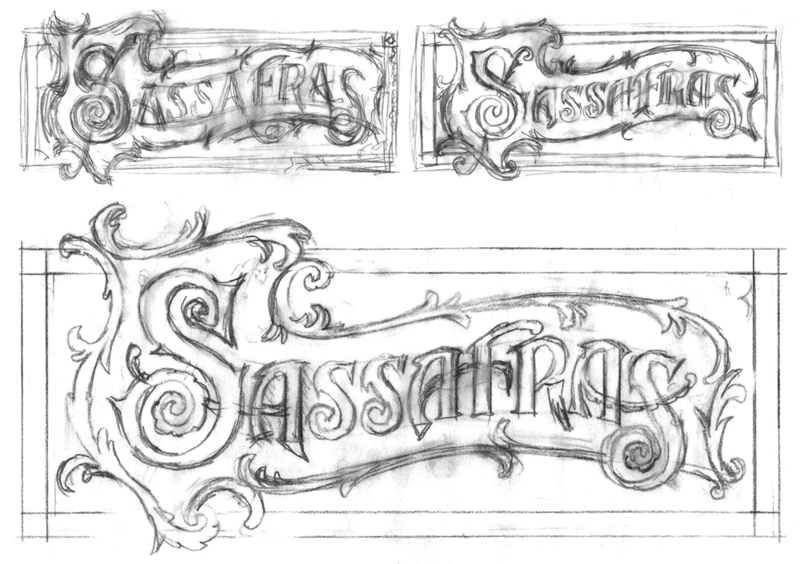 I’d enjoy very much the making of Sasafras logo… I din¡dn’t espect nothing less coming from you… SUPERB…!